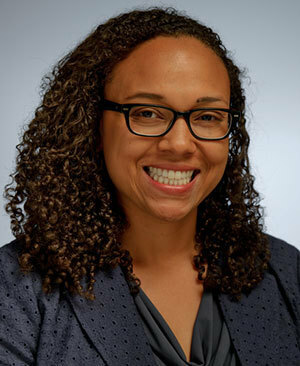 Jennifer Jones, an assistant professor in Notre Dame’s Department of Sociology, has received the Presidential Authority Award grant from the Russell Sage Foundation for her study of interracial coalitions and their effect on immigration policy in Mississippi and Alabama. Combining archival and media sources with interviews, “Enforcement or Embrace? The Determinants of State-Level Immigration Policy in New Immigrant Destinations” emerged from unexpected patterns Jones identified while researching race relations and immigration in North Carolina while a visiting scholar at Wake Forest University. Notre Dame’s Institute for Latino Studies has also been extremely helpful in her work, Jones said. To jumpstart the project, ILS provided a seed grant that both supported the research and provided a boost to secure additional funding. ILS has provided platforms for Jones to present her research and receive feedback. She most recently presented at “Transnational Migration in Comparative Perspective: Italy and the United States,” a conference at Notre Dame’s Rome Global Gateway that brought together scholars to discuss immigration issues. “I have found a great deal of support from the senior leadership in the institute, who have provided invaluable mentorship and guidance,” she said. As Jones was conducting field research from 2008 to 2009, she observed that the presidential election, economic recession, and a rapidly deteriorating environment for undocumented Latinos in the state had a surprisingly unifying effect on two minority groups. “Many of the Latino immigrants I spoke to highlighted not only the ways in which their experiences were akin to African Americans in their communities, but that African Americans were often more likely to show kindness and civility as well as join them in protesting punitive immigration policies,” Jones said. Jones discovered that such alliances were cropping up in other states as well, and that they appeared to be instrumental in preventing stricter immigration policies in Mississippi. Jones and co-investigator Hana Brown, a Wake Forest assistant professor of sociology, determined that Alabama and Mississippi would make for an excellent comparison, as they share similarities but have differing approaches to immigration policy. One goal of “Enforcement or Embrace?” is to chronicle the political processes that are occurring in “new destination” states—places where demographic change has happened so quickly and so recently that few sociologists have studied it. “Over the past 10 years, new destination states have entered the immigration policy fray as they grapple with the complex, unfamiliar, and politicized challenges of incorporating their new populations,” Jones said. The new grant will support research in Mississippi and Alabama, but Jones is seeking more funding to include North Carolina and Georgia by 2017. The project will examine, instead, where political alliances are emerging, why they are happening, what accounts for their success, and whether they are sustainable. At Notre Dame, Jones approaches her teaching with two goals in mind—providing students with the tools to become better citizens, and helping them learn new skills through application. Jones anchors one course around how various dimensions of the Latino experience shape how Latinos are, and should be, counted in the U.S. Census. By the end of the course, students are asked to propose a schema for the 2020 census. Jones uses her research as an example of the work that sociologists of race and ethnicity engage in, but she avoids heavy emphasis on her own theories. Originally published by Aaron Smith at al.nd.edu on April 05, 2016.